Hey lovies! How’s life? Finally my cold has disappeared and I’m away for the weekend, like I mentioned previously. Where I’m staying is so pretty and quiet, definitely a completely different scene to Dublin. Anyways I’m back with a new style post that I’m so in love with rn. 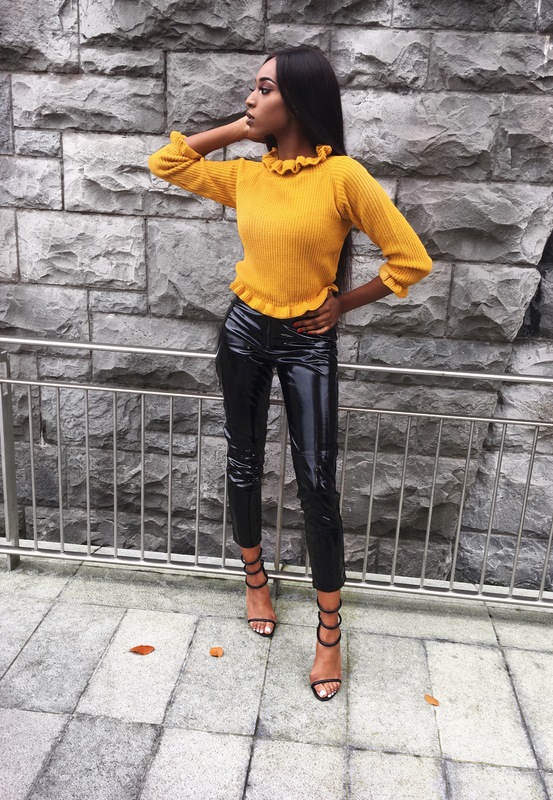 Yellow is 100% one of my favourite colours this season and like I mentioned before in a previous post, it looks great on anyone! 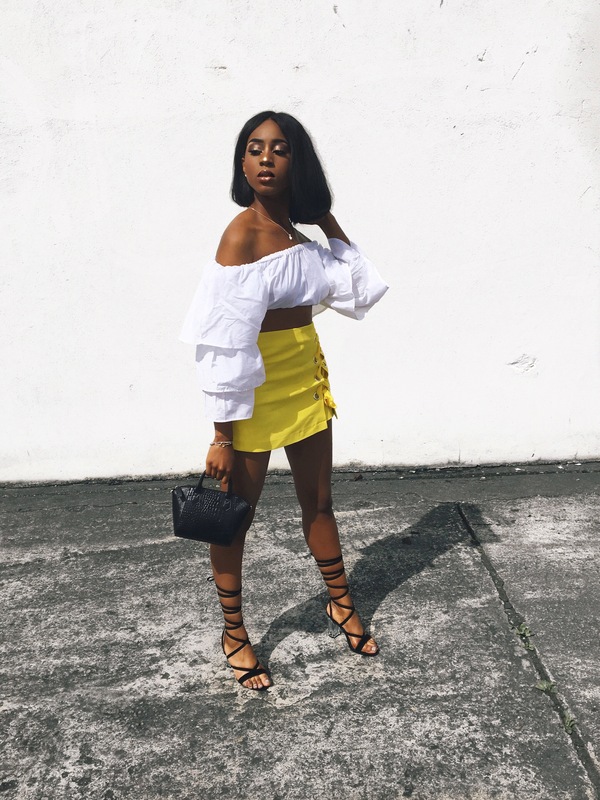 This gorgeous skort is from Stradivarius, definitely a bold statement piece for this summer that can be put together with a bralet or an off-shoulder top like I’ve done so below. These Missguided sandal heels is what I finished off my look with to keep it clean & casual for a night out or for some drinks with the girls! Thanks for the read guys, don’t forget to like & share and follow my socials just at the end of the page! Yellow is one of my favorite colors so I already loved this post from the get go! The short looks like a skirt and I ain’t never seen no sandal heels before lol. Keep the awesome outfits coming girl!